Alison has years of experience in retail and marketing in the United Kingdom and moved to Antigua more than 10 years ago. She is co-owner of Antigua Nice Ltd., a digital marketing agency. 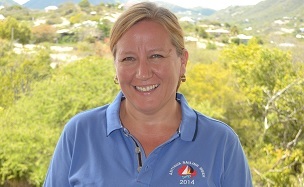 Alison is also on the board of directors of the Antigua Hotels and Tourist Association, and is the board member responsible for marketing for both the Caribbean Sailing Association and the Antigua and Barbuda Marine Association and Commercial Director with responsibility for marketing, shoreside events and sponsorship for Antigua Sailing Week. To get in touch email alison@mainstaycaribbean.com.